I found this card in one of my pressing places in my craft space!! It was a bit of a surprise but because I have several places where I press cards I don't always use the same one. 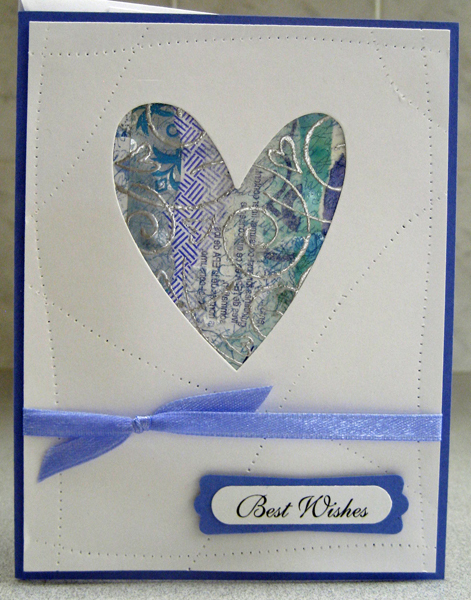 I created this card while I preparing kits for my All Occasions Card Class. I had used my pattern tracing wheel on this one and then decided to use embossing folders instead so this one no longer could be used as a sample. I added the laser printed best wishes greeting to make this one a fun wedding or anniversary card. The background behind the heart opening is a serendipity collage which has been stamped with a large heart background and silver embossed. 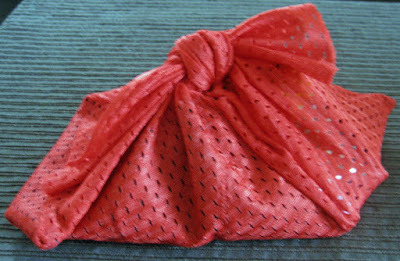 After securing the serendipity piece to the back of the opening a ribbon was added and a short piece was tied to it to simulate a bow. The little greeting is laser printed font and a label punchie (SU).